Lindsay Lohan Rockin' Fur & Christian Louboutin Marisa Studded Platform Boots! Lindsay Lohan was spotted in New York City rockin' a fur coat and Christian Louboutin Marisa Rocker Boots ($2,295). I love the boots and let's pray that Lindsay is rockin' fuex fur so P.E.T.A won't come after her like they did Janet Jackson recently. She still looks great! 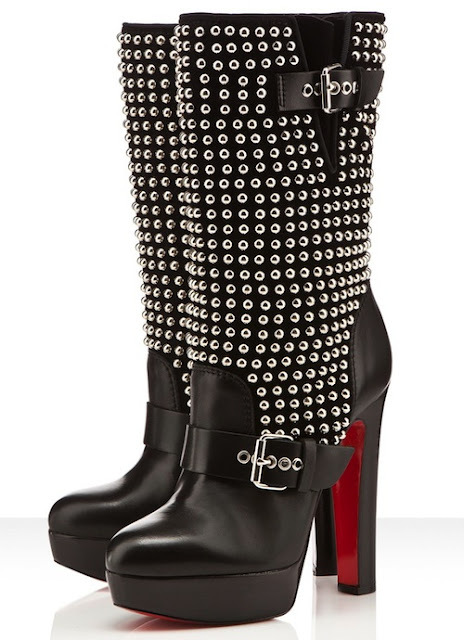 Do you love the Christian Louboutin Marisa Boots?